SALIVA…. A NATURAL MOUTH WASH !! Teeth and Gums are naturally protected by Saliva from Dental Caries and Gum Diseases. Salivary PH has a acid-neutralizing power which helps to prevent tooth cavities .It has Calcium and Phosphorous as content with Immunoglobulins(antibodies) giving natural immunity. Saliva has got Antibacterial and Anti-infectious properties mostly ascribed to substances like lysozyme,mucus and other bactericidal composed in it. Saliva fights germs in your mouth and prevent bad breath. Saliva is secreted by 3 Major Salivary glands making our mouth moist and comfortable. and few minor salivary glands in Mouth. They have tube like ducts for secreting into mouth as it is stimulated by food. 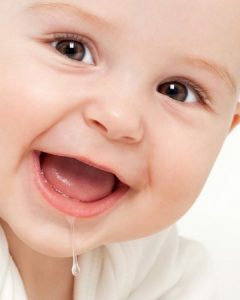 The amount of saliva and its thickness are important for its function. Salivary glands are under the control of Autonomic Nervous (Involuntary) system..means it cant be directly controlled by us like our fingers. As we chew food or smell food saliva secretes inside our mouth from glands. will cause dry mouth..culprit for Dental Decay, cracking of lips and corner of mouth, burning mouth, crusting tongue and more. Salivary dysfunction may be Temporary or Permanent. Reasons are from Psychological , emotional to diseases like mumps, tuberculosis, etc. Vitamin B deficiency causes salivary dysfunction. X-Radiation given during Cancer Therapy is a sad cause for total dry mouth and decays. Medicines like Antihistamines and Antipsycotic drugs decreases saliva. Smoking & Alcohol too can cause dry mouth. 1. 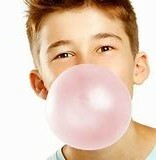 If salivary glands are functioning well ..it can be stimulated by Sugar free Chewing gums 2-3 times a day. 2.Dentist can analyze the salivary flow by new quantity and quality tests of saliva .Normal estimated range of saliva is 0.75 – 1.5 L per day. 3. Thick saliva is not good for cleansing mouth naturally . Thick saliva is observed in children consuming more sugars (chocolates & snacks) . 4. Medicines taken long time can affect Nervous system….decreases saliva, can be discussed with the physician. 5. Reduction of refined sugar intake may be effective in improving saliva ..as more decrease in saliva affects even wearing dentures. 6. Increasing the frequency of water intake will dilute the sticky saliva. 7. Activating the cheek muscles with blowing exercises like blowing balloons, mouth-organs etc., can increase the salivary flow from the glands. 8. Dry-mouth gels, lubricants, sprays can be used to produce artificial saliva . Thumb Sucking - Intervention Necessary? Natural Teeth Whitening ….. Facts & Fiction! !